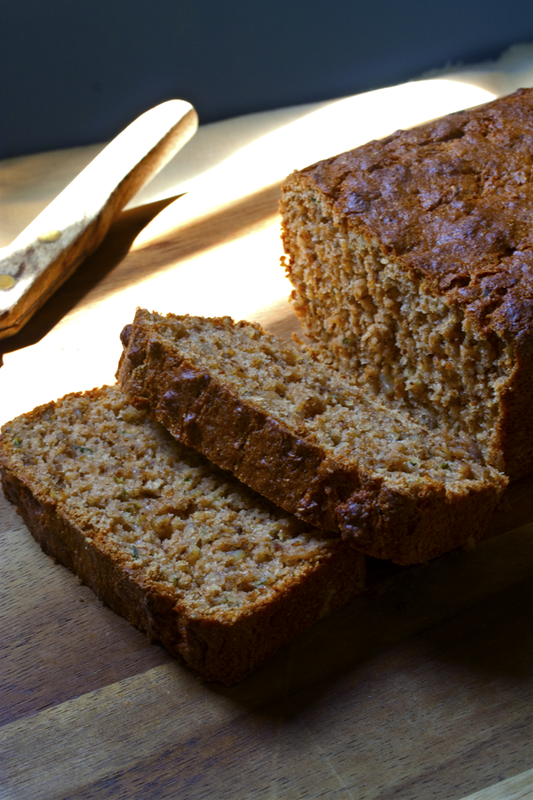 Guilt free, lowfat and vegan zucchini bread. A sweet and cozy cinnamon spiced baked treat. Completely Oil free. Want to know what others thought about this recipe? Would you like to comment on this recipe? Go to the Vegan Low Fat Zucchini Bread blog entry. Preheat Oven to 350 degrees. Grease and flour a 4 inch by 8 inch loaf pan and set aside. In a large mixing bowl add both flours, baking powder and soda, salt, cinnamon and flax seed and mix together. Next in a food processor place nuts and pulse them a few times until they are finely chopped. Pour into mixing bowl along with the zucchini. 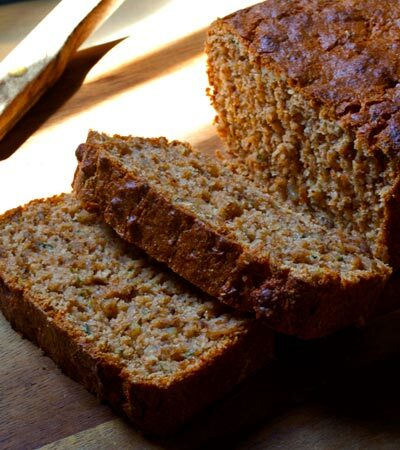 Take your hands and mix the flour, nuts and zucchini together so that it doesn't form any lumps. Add can of pineapple, vanilla, apple sauce and sugar to the food processor and pulse a few times until it's well combined and becomes liquid. Pour this into the mixing bowl and mix with a spoon until well combined. Don't over mix. Pour batter into the loaf pan and place into the oven and bake 1 hour. Dump it out onto a cooling rack and flip top side up and let it cool for 1 hour before slicing.